Electrosurgery is the most common surgical procedure in OP. Surgical diathermy is also known, in a more restricted sense, as electrosurgery (high-frequency surgery). There is an electrosurgery device in almost every operating theater in the world. It is used in all interventional specialist disciplines, for in-patient care and in the outsourcing sector. 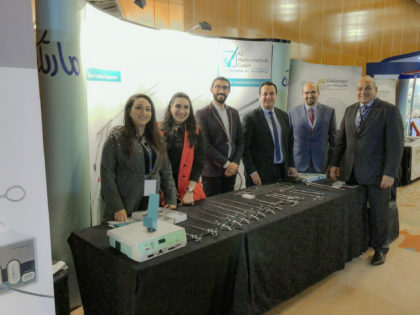 The user has a range of different electrosurgery instruments to call up - for open surgery, laparoscopy and for flexible endoscopic interventions. The ear, nose and throat sector - ENT in English, ORL internationally - deals with diseases, injuries, the consequences of injuries, malformations and functional impairments of the ears, the upper respiratory tract, the mouth cavity, the throat, the larynx, the lower airways and the esophagus. Surgery in the field of ENT is filigree, complex and extremely precise. Here at RZ Medizintechnik, we offer a very comprehensive range of products for diagnostic and operative treatments in the ear, nose and throat sector. The surgical sector covers the prevention, detection, the conservative and operative treatment, aftercare and rehabilitation of surgical conditions, injuries and complications arising from injuries, as well as innate and acquired changes in shape and malformations of vessels, internal organs including the heart, supporting and movement organs and oncological surgery as well as reconstructive and transplant surgery. General surgery is a sub-set of surgery covering the basic provision of surgery ('Basic Surgery') as well as aspects of A&E, visceral and vascular surgery. 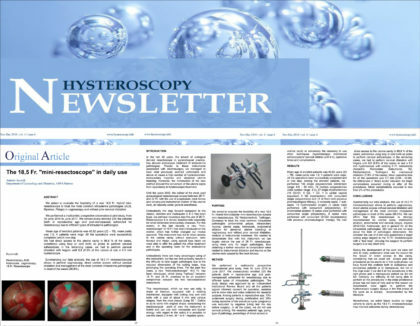 Hysteroscopy is used in gynecology for diagnostics, operative and therapeutic purposes. Gynecological interventions have gained in importance greatly for the prevention of diseases in women, e.g. cervical cancer. 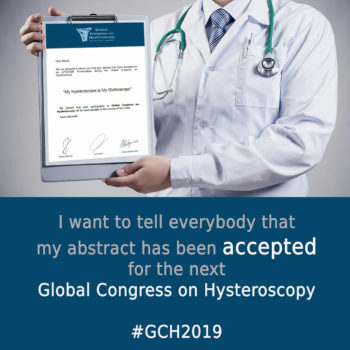 We are continuously developing new products for prevention purposes to the highest standards of effectiveness, efficiency and patient compatibility for use in hospitals, by gynecologists and medical specialists. Today, laparoscopy is the most frequently employed form of endoscopic treatment. 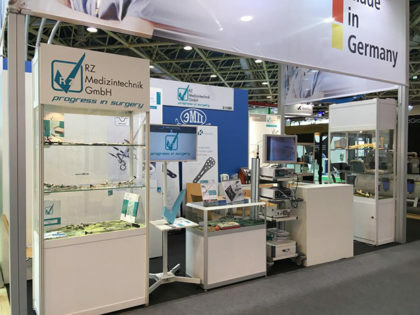 RZ Medizintechnik offers a complete range of products for standard interventions and for specialist operative techniques. Our modern and modular PEEK silicone valve trocar system provides optimum access for all laparoscopic interventions. This ergonomically refined detachable 3-part annular grip system features a convincing range of 5 mm and 10 mm inserts. This provides the perfect instrument for every operation. Other special features of the RZ range of laparoscopic instruments are our carbide needle holders with axial handle and our ceramically insulated electrodes. Both assure long service life and ultimate workplace precision. Our patented bulldog clips, used in DaVinci operations, round off our comprehensive range of products. We have made it our task to provide you with a central system for endoscopic applications featuring all the medical appliances and devices you could need, with an instrument trolley and with high-end monitors. Our line of devices delivers the latest by way of convincing new technologies, all ergonomically designed, easy to use and featuring a visually appealing standard design. To assure a high level of operative and patient safety, all of our appliances and devices can be used intuitively by the entire operating theater team. The eye is required to perform at the highest level all of the time. Almost no other sensory organ communicates the same volume of information to us. More than 40 percent of all pathways in the central nervous system work for the eye. The treatment range in eye therapy ranges from diseases of the cornea and the conjunctiva to treatment of strabismus (squinting) and child opthamology to diseases of the retina and the optic nerve. Here at RZ Medizintechnik, when manufacturing products and instruments for eye therapy, we focus on quality and precision. Orthopedics is a medical sub-discipline that deals with medical conditions in the movement apparatus. This includes health problems with bones, joints, muscles and tendons. A few of our product highlights in the orthopedic sector include our anatomically designed bone levers, carbide wire instruments, a selection of gouge clamps and very sharp osteotomical tools that can be used with our medical hammers. RZ Medizintechnik can provide instruments for animal tagging, surface instruments such as shears, clamps, forceps or needle holders. Veterinarians dealing with large animals will appreciate our utensils for birthing assistance, or reflex hammers and scalpels, grippers and tongue spatulas.